Michael Welter’s 45 words take up an entire wall at HPU. They’re right outside The Café, a dozen steps from the sliding doors inside the Slane Student Center, with each letter as big as the palm of an adult’s hand. But Welter didn’t write his essay for a wall. 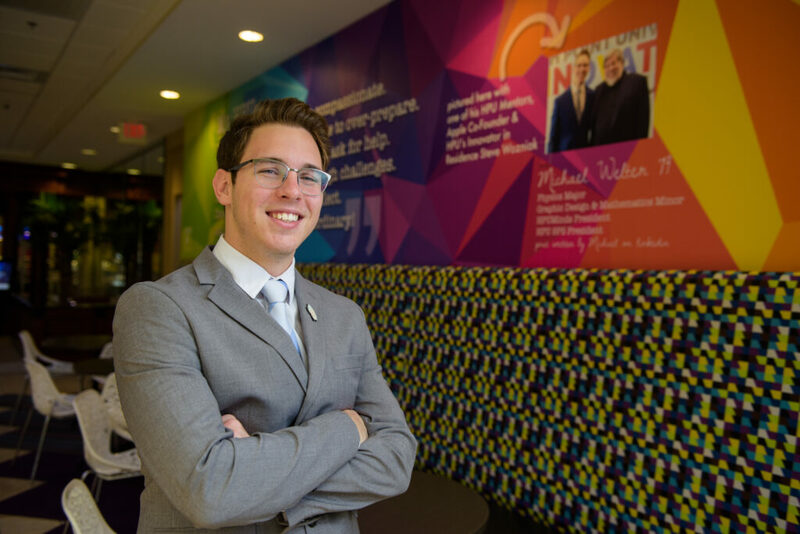 He wrote it for himself and HPUminds, a student organization he helped form and now leads. 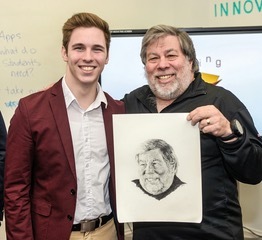 HPUminds works with Steve Wozniak, the co-founder of Apple and HPU’s Innovator in Residence. 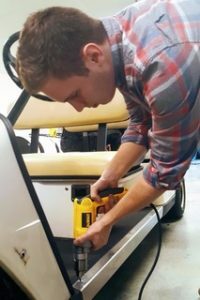 Wozniak is helping 22 members of HPUminds build a self-driving golf cart, and Welter has spent the past three years with Wozniak. 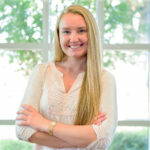 Welter is HPU’s Extraordinary Leader for the month of October. But he didn’t receive the award because of his words on a wall. Welter is the only son of a single mother, a retired ophthalmologist. He came to HPU from Toledo, Ohio, drawn by HPU’s physics department. He knew he made the right choice when he met Dr. Aaron Titus, the department’s chair. He liked Titus’ enthusiasm right away. He also liked the department’s community outreach program known as HPUniverse Day, and since 2014, the on-campus event has taught local students to appreciate science. Welter believes in outreach. He did it back home in high school. He rollerbladed a mile from his house to a senior center where he played piano and helped its residents put together puzzles and craft projects. Welter works on the self-driving golf cart Steve Wozniak is helping HPUminds design. Yet, when he came to HPU, Welter first felt out of sorts. He didn’t know anyone on campus and felt he didn’t belong. So, he went to see Dr. Titus. Dr. Titus offered Welter a chance to be a Student Instructor, or “SI” in campus language. 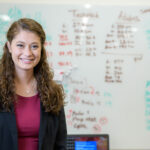 Welter said yes and began tutoring students in a course about how physics helps program video games. The SI job helped. But Titus’ mentorship helped even more. Since then, Welter has become one of Titus’ star students. The second semester of his freshman year, Welter joined what’s known as The Woz Project. Welter felt like he belonged at HPU in more ways than one. Ask Welter about working with Wozniak, and he laughs. “I was like this ‘fan girl’ at first,” he says. “I mean, he’s The Woz, he’s like some tech god. I even had him sign the laptop my grandma got for me. But the more I worked with him, the more I saw that he was just this humble guy who built Apple with his buddy he met during college. Welter wanted to do more with The Woz Project than just be a once-a-year get together with Wozniak in Cottrell Hall. 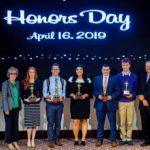 He helped create a student organization known as HPUminds that helped technically-minded students hone their skills throughout the school year. 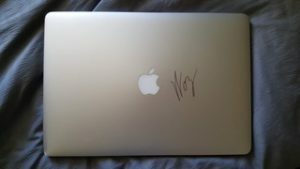 Welter’s laptop Steve Wozniak signed. Welter has been the group’s president for the past two years. The group’s invention – its self-driving golf cart – should be ready by Wozniak’s next campus visit in February. Meanwhile, Welter has heard three students tell him The Woz Project is one of the main reasons they came to HPU. 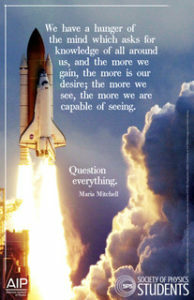 The poster Welter designed during his internship. Welter is also president of HPU’s Society of Physics Students, and he’s worked on four different research projects with HPU professors. Those projects included programming his own video game and building a mobile robot. In his sophomore and junior years, he sang with and arranged the music for The Off-Beats, a co-ed a cappella group on campus. 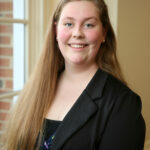 Welter is now a senior majoring in physics with minors in math and graphic design. For the past three years, he has helped coordinate the HPUniverse Day, and he estimates nearly 4,000 local students have come to campus to do and see practical applications of science. 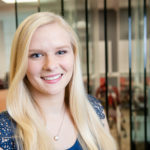 This summer, Welter interned in Washington, D.C. with the national office of the Society of Physics Students. He wrote social media posts, essays and blogs, and he designed their poster for their nearly 800 campus organizations worldwide. Those words are Welter. It’s what he values, and it’s what those 45 words outside The Café are all about. 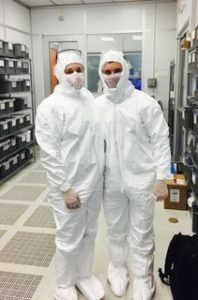 Sarah Jiudice (left) and Welter (right) worked with HPU’s Dr. Brian Augustine on a research project during the Summer Undergraduate Research Program. Welter admits he was nervous when he was contacted by HPU about his essay. On his LinkedIn.com page, he wrote about how he has adapted and expanded HPU’s call-to-action mantra “Choose to be Extraordinary!” in his own way, with his own words. He encouraged readers to do the same. Welter heard HPU officials liked his essay. They saw it as an insightful treatise that broadened HPU’s idea of extraordinary. So, Welter’s words are now as big as any billboard. Welter’s friends think it’s “really cool.” It all humbles Welter. Still, it’s what he believes. Take risks. Over-prepare. Encourage others. Ask for help. Self-reflect. Be active. Be diligent. Be compassionate. Pursue and persevere through challenges.